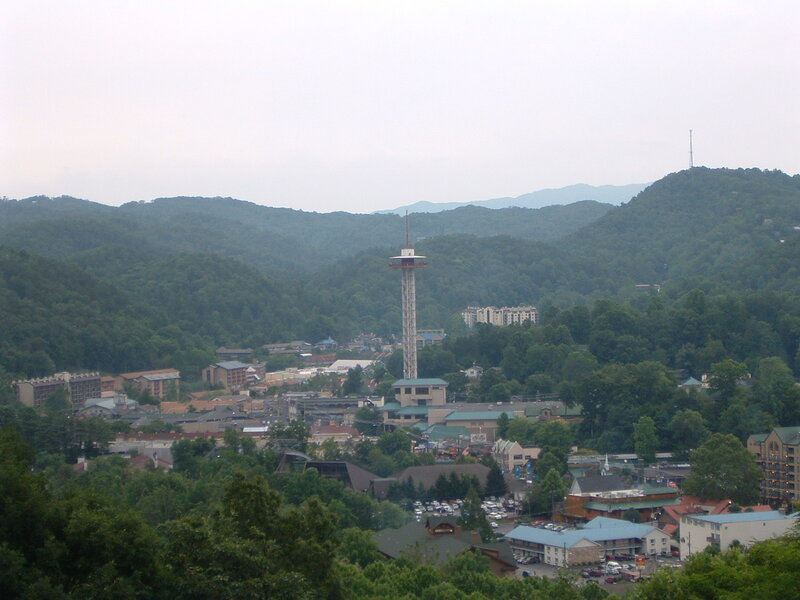 Lots of people come to Gatlinburg, Tennessee every year, and appreciate the natural beauty that this area offers, from the majestic Smokies, to the many unique cultural features of the area itself, such as music, art, and much more. However, did you know that the main highway through Gatlinburg, Pigeon Forge, & Sevierville (U.S. Highway 441, a/k/a “The Parkway”) pretty follows an old Native American footpath known as the Indian Gap Trail? Yes, it is actually true, except that U.S. 441 today crests at Newfound Gap, and not Indian Gap. You can learn fun historical facts about Gatlinburg, as well as the unique Appalachian culture of this area, simply by visiting the City’s website today and learning more. You can also see natural history and beauty up close by going to the Great Smoky Mountains National Park, a place with breath-taking landscapes, unique plants & animals, and plentiful opportunities for hiking and exploring await. Also, if you like historical sites, you can visit the City’s website regarding the many historical sites in the area, and learn more this area’s unique history. With so many opportunities to see history come alive here in the Gatlinburg area, it is no wonder so many people come to visit our area every year. Why not see what else the Smokies can do for you today? Please feel free to browse our Featured Properties, and see how The Jason White Team can help you realize your home ownership dreams today! Sevier County is a wonderful place to live, work, play, and enjoy the beauty of the Great Smoky Mountains at any time of year. However, some people may wonder – How did Sevier County get to be named Sevier County? For that answer, you have to go back to the very founding of the State of Tennessee itself, and back even to the founding of our country, where an individual by the name of John Sevier would help to shape not just the County that bears his name today, but the State of Tennessee, as well. What results is a very fascinating story from history, and a story that is worth telling, to be sure! John Sevier was born in Rockingham County, Virginia, near the town of New Market, Virginia, on September 23, 1745, and was the oldest of seven children. His father, Valentine “The Immigrant” Sevier, was descended from French Huguenots, who had fled France to England, and his father had come to the colonies in 1740, eventually settling in the Shenandoah Valley of Virginia. Not much else is known about young John Sevier’s early life, except that his family were prosperous farmers in the Shenandoah, and eventually married in 1761 to Sarah Hawkins. By time of the American Revolution, Sevier and his family had moved to a farm on Watauga River, near present-day Elizabethton, TN. At the time, the area where Sevier lived was a part of the colony of North Carolina, where the Watauga settlements were located, was made into the Washington District of North Carolina. In doing so, Sevier would be named as a representative to the Provincial Congress of North Carolina. By 1776, Sevier had also been named a lieutenant colonel of the North Carolina militia and was originally assigned to protect the frontier settlements. During the Revolution, Sevier would fight in many engagements, but remained largely in the South. Sevier’s most well-known battle came at the Battle of Kings Mountain in 1780, where the colonists were victorious against a force of British and loyalist soldiers at Kings Mountain, NC, just north of nearby, present-day Spartanburg, SC, and west-southwest of present-day Charlotte, NC. After the Revolution, having been promoted all the way to brigadier general, Sevier would become involved in a very interesting part of early American history – the short-lived State of Franklin. In June 1784, the new State of North Carolina ceded its lands west of Appalachian Mountains to the federal government, after pressure from the Continental Congress. However, the new Congress did not act immediately regarding these lands, so a power vacuum resulted in what is now Tennessee. In August 1784, Sevier served as President of a convention held in Jonesborough, TN to establish a new state, and in March 1785, the new State of Franklin, named in honor of Benjamin Franklin, was born, with Sevier serving as its new Governor. However, a new problem arose for the State of Franklin right away – North Carolina had decided to rescind its cession of lands west of the Appalachians, and re-imposed its authority over what was now the State of Franklin. After about 4 1/2 years of essentially having two state governments – Franklin and North Carolina – governing what is now East Tennessee, the State of Franklin ceased, and North Carolina re-assumed the area. Sevier, in the meantime, had re-declared his allegiance to North Carolina in 1789, was elected to the North Carolina State Senate, and helped negotiate a new cession, which led to the creation of the Southwest Territory, becoming modern-day Tennessee. Sevier would later go on to serve as Tennessee’s first Governor, serving an initial three two-year terms from 1796-1801, and then three more two-year terms from 1803-1809. He held was later elected to the Tennessee State Senate, and then as a U.S. Representative to Congress from the state’s 2nd District. Sevier was actually offered a command in the army by President James Madison during the War of 1812, but Sevier would decline, despite his staunch support of the war. Sevier would later die in 1815 in the new Alabama Territory, and was buried along the Tallapoosa River. In 1889, his remains would be re-interred on the Knox County Courthouse lawn in downtown Knoxville. 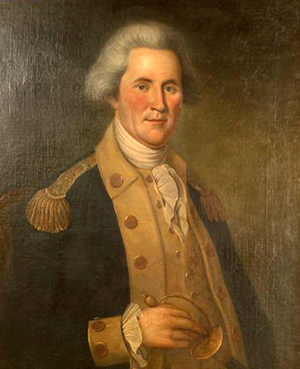 John Sevier remains a prominent fixture in East Tennessee lore to this day. Many monuments, schools, civic groups, and much more bear his name, including Sevier County itself. Many locations throughout East Tennessee still tell of Sevier’s life and times, including his home sites. With such an interesting and compelling history of Sevier County’s namesake, it is no wonder why the Great Smoky Mountains region remains an area full of history, culture, and vitality, from its very inception to the present day. Millions come to our area every year, and do so to experience the majesty and wonder of this area for themselves, experiencing this area’s unique history and culture. Why not see what else the Great Smoky Mountains can do for you? Please feel free to browse our Featured Properties, and see what The Jason White Team can do for you and your home ownership dreams today! The Great Smoky Mountains offer their own beauty in every season but it is always thrilling to watch as spring approaches and gains steam transforming the mountains with new life, increased wildlife activity, the blooming of flowers and the budding of trees. There are numerous reasons to plan a visit during spring, with a multitude of festivals, activities and workshops. Today registration opened for the 63rd Annual Spring Wildflower Pilgrimage. The 5 day event in the Great Smoky Mountains National Park will be held from April 23rd-27th this year and fills up quick. Let’s take a look at a few of the offerings and reasons to register now. It’s an event not to miss if you love the Smokies. All 5 days are packed with activity. Most programs are held outdoors in the park with some classes and seminars being held at various indoor venues in Gatlinburg. This year’s program will offer 146 professionally guided walks and presentations allowing participants the opportunity explore the region’s flowers, fauna and natural history. Many walks offer the chance to explore the back country, led by seasoned hikers. For those of you who have photography as a hobby, you are invited to enter the photography competition as well. The competition includes categories for flora, fauna and landscape. Winners will be chosen by votes of those registered for the pilgrimage and an awards ceremony will be held. Just looking to improve your photography skills? A beginner’s photography workshop will be offered with outdoor, hands-on instruction. In recognition of the 175th anniversary of the Trail of Tears, Wednesday’s indoor events focus on Cherokee culture. There will be talks about the Trail of Tears, Cherokee Culture After The Trail and Cherokee plant lore. Prefer an outdoor experience while learning more about the Cherokee? Join Native American, Karen LaMere at Metcalf Bottoms Picnic area on Wednesday morning for “Native People’s Use Of Nature’s Garden” and listen to a history that has been passed down through the generations as well as taste and learn uses of native plants gathered from nature. Davy Arch, a Cherokee woodcarver and storyteller will also lecture on Cherokee culture and demonstrate carving, mask making and more. His presentation is a great time to learn how plants played a part in Cherokee arts all the way back to the ice age. If you are a seasoned hiker you are sure to enjoy one of the longer, more strenuous hikes. A Wildflower Hike along Ramsey Cascades Trail will allow you to see a diverse range of wildflowers as you walk through one of the old-growth forests up to the 100′ falls. Looking for a beautiful but easier hike? Take the opportunity to walk the Noah “Bud” Ogle Trail and see many different wildflowers and American chestnut tree remnants in the fields of the homestead. Interested in the wildlife in the mountains? Join David Whitehead, Tennessee Wildlife Resources Agency Manager as he describes the history, tracking signs, human impact and environmental issues of the areas black bears and wild hogs while enjoying a 2-3 mile easy walk at Little River Trail head. This is just a very small sample of the wide variety of events and opportunities offered at the event this year. There is something for everyone who is interested in spending more time on the trail and learning more about the area’s heritage and the Smoky Mountains. You may download a full event schedule, register and more at the official event website. The mountains offer year round beauty, events and chances to get closer to nature. One of the ways to make it easy to spend as much time as possible surrounded by the majesty of the mountains is to purchase an investment property or Smoky Mountain home away from home. The market is busy with homes moving at a steady pace but there are plenty of great opportunities available. Spend some time at our website searching what’s available and we are certain you will find your perfect Smoky Mountain get away. This weekend in the Smokies boasts a weather forecast with temps near seventy degrees. It will be a beautiful weekend for Pigeon Forge to kick off it’s 23rd Annual Wilderness Wildlife Week™. Slated to begin on Saturday the 12th at Music Road Hotel & Convention Center, the week long event offers a wide range of learning opportunities with many workshops, hikes and demonstrations. The event is designed to offer activities for every age level and interest. Let’s take a look at a few of the topics and excursions that will be available. The Keynote Program will be held on Saturday at 7:45 PM. Presented by Sam Venable, a humor columnist for the Knoxville News Sentinel it is titled “How to Tawlk and Rite Good: An Introduction to the Native Tongue of Southern Appalachia.” Mr. Venable is the author of 10 books and holds more than three dozen writing awards. If you are looking for a bit of Southern humor you won’t want to miss this presentation. Each day is packed with a wide choice of events. Sunday at 12:30 the Lost Mill String Band will perform Kids’ Track! Kiddin’ Around: A Concert For Kids of All Ages. At 1:00 Steve Garrett will present Smoky Mountain Llama Treks: Hiking With Llamas In The Smokies. Llamas are used to take supplies to LeConte Lodge and they love eating pancakes when they get to the top – you can find a great video here. If you wish to spend part of the week in the outdoors the event offers numerous hikes and field trips throughout the week. For the early risers, Sunday at 6:00 AM begins a bus trip titled Cades Cove Photo Trek. If you enjoyed the llama video above why not take a hike with them? Wednesday from 10:00-4:00 and Friday from 10:00-5:00 will be a llama hike. Spaces for hikes and field trips fill up fast, all hike sign ups will be held at Holiday Inn Express, located directly across the street from Music Road Hotel & Convention Center. Hiking rules and the sign up procedure may be found here. This is just a small listing of the many things this annual event offers. Take a look around the event website, you may find something that has to go on your “must do” list. If you participate in the event we are confident that you will find even more reasons to fall in love with the Smoky Mountain region. Want to make it easy to spend time in the mountains? A Smoky Mountain home away from home may be the answer. You can browse all of the homes for sale in the area at our website. If you decide it may be time for your mountain home purchase, let us know. We are happy to schedule an appointment to begin your search process. One of the many reasons the Great Smoky Mountains are such a great place to visit and a great place to invest are the wide variety of special events hosted in the area. There is a broad spectrum of events throughout the year that appeal to a wide variety of interests. This month Gatlinburg will host a new event; the First Annual Smoky Mountains Songwriters Festival. The event will be held from August 23rd – August 25th and like many events in the area will spread out over multiple venues. So, what’s it all about? The event is designed to “Celebrate Our Appalachian Musical Roots” and allows songwriters to perform their original songs, attend workshops and get guidance on how to get their songs published. It is no secret that many top singers, songwriters and other musical performers have blossomed out of the Tennessee region and this event centers around promoting new talent. Slated as “one of the most entertaining shows you will ever see”, many of the venues that are hosting the performers are free. Many songs are easily recognized as “hits” and the artists will not only be performing their songs but also telling you the stories behind the music. Things will kick off at Ober Gatlinburg at 4:00 PM on the 23rd with a special meet and greet with the performers. Tickets for this VIP event are $25.00. Throughout the event there are numerous shows and workshops. On the 25th, Jimbo Whaley & The Greenbrier will be performing at Mills Auditorium. Tickets are $20.00 and a portion of the proceeds will benefit the Gatlinburg Garden Club’s Lucinda Ogle Oakley Log Cabin Restoration Fund. A full schedule of events may be found at the Smoky Mountain Songwriters Festival website. Whether you are an aspiring songwriter looking for information to help you along, just interested in Appalachian musical history or looking for a great reason to visit the Smokies this event is sure to please. These types of events add to the growing number of annual visitors to the Gatlinburg region and help to keep it as a top vacation destination. There are plenty of reasons to visit the National Park and they add to the reasons to invest in real estate in the area. Imagine owning a beautiful vacation rental home in the Smoky Mountains that not only puts money in your wallet but also provides you with the chance to visit the area more often. There are plenty of investment opportunities available on the market. Take a look at our website to explore the options then plan a visit, take in this brand new event and give us a call to start looking at homes. Gatlinburg’s seventh annual Smoky Mountain Tunes & Tales begins on June 15th and goes on through August 11th. This summer long event features musical performances, storytelling and artisans portraying characters from the 1800’s forward. It is an interactive event that is educational and fun for the whole family. As you walk through downtown Gatlinburg after 6:00 PM you will be drawn in to as many as 12 nightly acts along the streets of Gatlinburg. Enjoy many acts including clogging groups that will perform seven nights a week for the duration of the event. Musical performances will include the older Appalachian sounds of acts like Rattlesnake Holler & the Whiskey Bent Valley Boys to traditional bluegrass of Flicker Tail Holler and the Holloway Sisters. You will be able to take advantage of educational opportunities such as how mountain and lap dulcimers and gourd banjos are made by local craftsmen like Denton Bragg and Mark Edelman. You can even learn a few fun moves and steps from the Back Porch Cloggers. Appalachian characters like Miss Nan and Quiltin’ Annie also teach the young and old about their old-time Smoky Mountain ways. After enjoying music and learning about a few Smoky Mountain trades, you can settle in and enjoy stories of the Great Smoky Mountains from characters like Ol’ Rowdy and Whitlin’ Joe. With these types of events throughout the year in a unique town like Gatlinburg it is no wonder that this is such a top vacation destination. Gatlinburg is not only a great place to visit but also a unique and charming place to live sitting against the wonders of the Great Smoky Mountains National Park. The real estate market is moving, there is plenty of inventory to choose from and we believe Gatlinburg is a great choice of locations to consider for purchasing a second home or investment. You can see the wide variety of choices the area has to offer by visiting our website and browsing available homes for sale. It is a great time to plan a visit, enjoy an evening stroll through Gatlinburg to enjoy the performances of Smoky Mountain Tunes & Tales and schedule a time to visit a few homes in the mountains. I recently had the experience of helping with the annual helicopter supply drop at LeConte Lodge on Mt. LeConte. Wow! An amazing hike, amazing experience and amazing views. Today, I would like to share more about this experience, several photos and a little information about Mt. LeConte and The LeConte Lodge. If you have never been, today you will find out why this is one hike you should be putting on the calendar. At 6,593 ft. elevation, Mt. LeConte is one of the highest peaks in The Great Smoky Mountains National Park. In 1924, avid hiker Paul Adams led an expedition up the mountain to show the group the rugged beauty of the mountains. They spent the night in a tent which later became a cabin and eventually LeConte Lodge. LeConte Lodge is the highest inn serving guests in the Eastern United States. Featuring a series of personal cabins and a central lodge/dining hall the lodge is usually open from March – November and can accommodate around 50 guests at a time. Guests must hike in on one of five trails that access the mountain. Being a quite popular trip, guests are encouraged to make reservations a year in advance. Due to the lack of traditional access supplies are brought in annually via a helicopter drop. It was a beautiful day for the air lift. On the hike up the last of winter was still hanging on the mountain. By the next day it had completely melted & now it is officially spring. At the top enjoying the excitement of the supply drop and all of the amazing views. Watching the helicopter getting closer with the supplies. Drop! Navigating a tight space the helicopter brings all of the fuel, canned goods, t-shirts and more. The next day the fog put the final hours of the lift on hold. After all the excitement the fog made for another gorgeous hike down from Mt. LeConte. You can see for miles from here. The second ridge line below the bird is a view of Chalet Village in Gatlinburg from “Cliff Tops” on Mt. Leconte. This was a truly awe-inspiring experience. If you have not hiked Mt. LeConte or visited the LeConte Lodge you should start planning now. You will find yourself surrounded by stunning views, wildlife and great people. Seeing Chalet Village from such a high vantage point in the picture above reminds us of what a great location the homes in this community occupy above Gatlinburg. Chalet Village is minutes to Ober Gatlinburg, downtown Gatlinburg and Pigeon Forge. Though it’s not Mt. LeConte, it has some pretty stunning mountain views of its own. Below are just a few Chalet Village properties, you can see more at our website. Once you see this functional work of art that doubles as a spacious home you’ll never want to leave. Much sought after top level corner condo has it all. 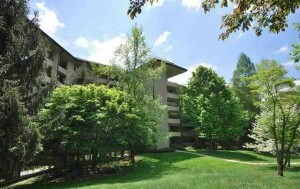 Great mountain views & two large balconies put you one on one with the spacious outdoors. Early blooms, warm weather and news of the 62nd Annual Spring Wildflower Pilgrimage in The Great Smoky Mountains National Park are all sure signs that spring is upon us. Registration has begun for this 5 day long annual event that will lead participants through all of the spring beauty the Smoky Mountains have to offer. Let’s take a look at what you can expect to find on this adventure. The event will begin on April 25th with a luncheon at W.L. Mills Conference Room. The event offers 134 professionally guided walks on the trails in The Great Smoky Mountains National Park as well as indoor presentations in Mills Conference Center and Sugarlands Training Room in Gatlinburg. The event began in 1951 as a two-day event. Hundreds of participants attended from 20 different states. The event was featured in National Geographic magazine. During that first year, Lucinda Ogle worried that the weather would prevent access to many outdoor events and presented flower specimens from her own garden in a case of Coca-Cola bottles at one of the evening meetings. The Coke bottle flower garden is still a big part of the Spring Wildflower Pilgrimage and features over 100 different plant species. Today the number of participants has doubled and it is a great educational and social event for anyone wanting to learn more about the native plant species and take an opportunity to get outdoors to enjoy the beautiful spring weather. Along with these tours and sessions you can enjoy the gallery of Smoky Mountain art and plant displays or get involved and volunteer to help with the event by contacting Holly at Friends Of The Smokies. This is a non-profit event that depends on the support of local organizations and volunteers to provide the wide variety of experiences each year. Registration is open online at their website along with a large amount of additional information. This is a great time to plan a spring trip to get to know more about the Great Smoky Mountains and see all of the reasons it is a dream location for a vacation home or full-time living. While you are in the area give us a call or send us an email, we would be happy to discuss more area information and help you begin your search for a Smoky Mountain home. Next week we will take a look at February’s market statistics, in the meantime visit us on Facebook for great photos, area info and featured listings! Opportunity knocks with this can’t be beat price on a Smoky Mountain home. 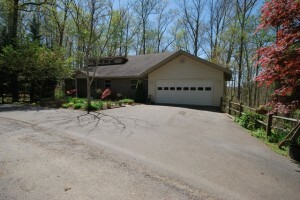 Just minutes from Ober Gatlinburg & tucked away on a wooded lot with level parking. This home’s commanding presence and awe inspiring setting have contributed to its status as an architectural icon. Award winning design and attention to detail create a distinctive home unlike any other you’ve seen. Smoky Mountain Views Found Here! 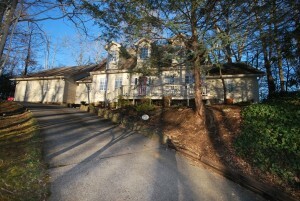 Magnificent mountain views but just minutes to downtown Gatlinburg. This mountain get away is perfect for the buyer looking for a prime location at a great price. Once a month we are going to feature fun facts and amenities about many of the different areas around Gatlinburg, Pigeon Forge & Sevierville. This month we are featuring the quaint mountain community of Pittman Center. Let’s take a look at what makes this beautiful location so special. Just minutes from downtown Gatlinburg is where you will find Pittman Center, a small community of roughly six square miles, which perfectly blends nature, mountain culture and Appalachian history. There is truly something for everyone, from golfing & fishing to visiting the covered bridge. Being just minutes from the Greenbrier entrance to The Great Smoky Mountains offers easy access to wildlife viewing and hiking as well. In 1784, this mountain region was settled by Frederick Emert and known as Emert’s Cove. The name Pittman Center became official in 1974. In the early 1900s, a Methodist missionary named John Burnett oversaw the construction of a community center & school that were named after a friend, Reverend Pittman. The school supported itself by canning tomatoes & growing apples, with the students doing the maintenance work. In 1955 the Sevier County Board Of Education purchased the Pittman school, combining it with Gatlinburg’s Pi Beta Phi High School in 1963. The only building remaining from the Pittman School is the home economics building which was placed on The National Register of Historic Places in 1996. The community has resisted commercialism and maintained its roots and mountain heritage. It was awarded the Distinctive Destination award by the National Trust for Historic Preservation. There are many great homes available tucked in to this secluded mountain region. All have been designed with an eye to respecting the surroundings and preserving the past. Pittman Center, Tennessee is truly a mountain getaway in the heart of the Great Smoky Mountains offering homebuyers the best options in modern living with every possible amenity and convenience, yet in a setting so relaxing and quiet, it is a well-planned step back in time. See what gems in the smokies are available here at our website. $20,330 gross rental income in 2010 & $17,432 in 2011! Wonderful location in the prestigious community of Riversong and only one mile from The Great Smoky Mountain National Park entrance at Greenbriar. 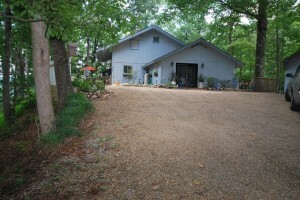 Fantastic creekside location on 1.84 acres in beautiful Pittman Center. 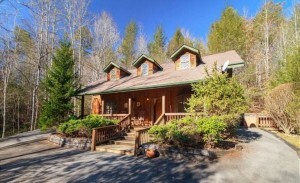 Enjoy the ridge top views and private mountain stream from this log cabin. If privacy is what you want this is it. Even a level driveway and easy parking. Comm swimming pool access. One Of A Kind On The River!! 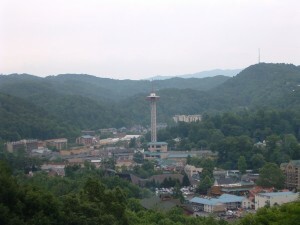 Gatlinburg is a town that showcases deep-rooted feelings of community & traditions even more so than most in Tennessee. We would like to share a few stories of the original roots and history of this beautiful Smoky Mountain area with you. In 1807 Martha Jane Huskey Ogle, her children & several family members arrived in a remote location in the East Tennessee Smokies. They were pursuing her late husband’s desire to settle in the “land of paradise”. The building of The Ogle Cabin was the event that marked the settlement of White Oak Flats, what we now know as Gatlinburg. Great Grandson Andrew Ogle & his family were the last of the family to live in The Ogle Cabin, abandoning it around 1910. It was later sold to the Pi Beta Phi Fraternity. Why the name change? It was originally known as White Oak Flats because of the abundance of native white oak trees in the landscape. In 1854, Radford C. Gatlin came to the area & opened a general store in the village. In 1856 the area’s first post office opened in his store and the town name changed to Gatlinburg. Although controversy soon surrounded Mr. Gatlin, resulting in his banishment from the community, the city still carries his name. In 1912, a public settlement school was developed by the Pi Beta Phi Fraternity. The school provided practical education and contributed to the rebirth of the “cottage craft industry” movement. Currently located on the old Pi Beta Phi school grounds at 556 Parkway, you will find the Arrowmont School of Arts & Crafts. A nationally renowned center of arts & crafts education, it offers year round courses for college credit. The Tennessee Heritage Trail has been developed by the state to highlight the culture, history & diversity of the area. Numerous Gatlinburg locations are an integral part of the trail. It has been divided into three different paths to offer a wide range of experiences; The Arts & Crafts Trail, The History Trail & The Music Trail. Many treasures of the Smoky Mountain heritage are available along the way. We hope that next time you are in the area you will treat yourself to a tour along the trail & discover more about the events, people & traditions that built this mountain community. Living in this rich cultural area surrounded by the beauty of The Great Smoky Mountains is truly breathtaking as William Ogle believed back in the early 1800’s. As “Your Guides To The Best Of The Great Smoky Mountains”, we hope you will choose The Jason White Team when it is time to begin your own discovery of the area & the vast real estate opportunities available. Begin your journey to a home in The Great Smoky Mountains by visiting our website. Have your own stories and fun facts to share about the area? We would love to hear from you, share them with us on Facebook. Dances With Bears is a spacious chalet with soaring ceilings and an open floor plan. Fantastic Rental Income & Mtn View! 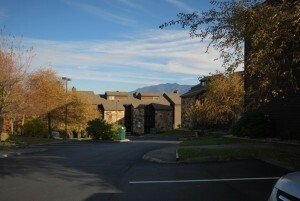 Incredible furnished rental with fantastic Mt LeConte view. Lots of decks w/hot tub to enjoy the view. Bedroom suites with recreation room and kitchenette for entertaining. Lots of room for large groups. Sleeps 18.